NOVA 9700 Swing Away Attachment Accessory allows you to swing away your bed extension accessory on your NOVA DVR 2024, XP and 1624 Wood Lathes. This optional accessory allows you to swing away the bed extension and tailstock from your NOVA lathe, saving you space when you don't need the extra capacity. Swinging the tailstock away also allows full access to the headstock, really useful for some operations like deep hollowing of vases. Very fast and easy to use. Made from solid cast iron, providing rigid strength and stability. Designed by Teknatool International, innovating since 1955. Backed by a full replacement 2-year warranty. Call our customer service center toll free on 1-866-748-3025. 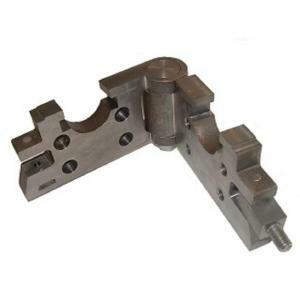 Tbook.com crawls the web to find the best prices and availability on Lathes and related Tools and Hardware products like NOVA Swing Away Bed Accessory for Lathes. For this page, related items include products we find that match the following keywords: "Lathes" at our vendor partner Home Depot. NOVA Swing Away Bed Accessory for Lathes is one of 3 Lathes and related products listed in the Tools and Hardware section of Tbook.com If you have any questions on this product, please give us a call at 734-971-1210 during the hours of 9am - 5pm EST for assistance. Thank you for shopping at Tbook.com, the Internet Department Store!